Alan Greenspan's memoir The Age of Turbulence: Adventures in a New World was officially released today and I've just begun to digest it. Keynesian interventionism was still overwhelmingly the dominant paradigm in the mid 70s, though it was already on the cusp of decline. The consensus with the Economic Policy Committee was that letting the market set prices and wages was inadequate and unreliable and needed to be supplemented by "income policies." These differed from country to country, but generally set guidelines for wage negotiations between unions, which were very much more widespread and powerful than today, and management. Income policies fell short of all-out wage and price controls in that they were ostensibly voluntary. The guidelines, however, were generally backed up by the regulatory levers of government which were employed to "persuade" transgressors. Given some thought this paragraph sheds light on the predicament of labor in 2007. The election of Ronald Reagan signaled a shift (though policy changes began before that) from Keynesian policies to more market based approaches. The "regulatory levers" would no longer work to actively persuade transgressors but to actively encourage them. 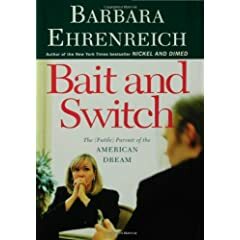 Barbara Ehrenreich, author of Nickel & Dimed , has just released a new book, Bait & Switch . In this new book she explores the world of middle aged unemployed professionals. A biography on Lane Kirkland, one of the most maligned and discredited AFL-CIO leaders, at first glance doesn't seem like an interesting read. However, the current debate raging within the house of labor makes this biography both timely and essential in understanding the tragedy of trade unionism in the 21st century. I have yet to read this book but today's review in the NY Post offers us a glimpse. Participants of the current debate would be well advised to read this book if only to perhaps cause them to be more civil towards the current leadership of the AFL-CIO. At the end of a great career he was hounded out of office by the anger, resentment and ignorance of lesser men who blamed him personally for the historic forces that rendered 20th century unions obsolete. After he left office the decline of private sector unions only accelerated under the stewardship of the men who had dismissed him. Jeffery D Sachs, famous for coining the term Shock Therapy to describe the policy he suggested to former communist states in transition, has written a new book titled The End of Poverty. I've posted some links to reviews below. In the spirit of St Patricks Day I have assembled a few books on the Irish and Labor Struggles. The Transit Workers Union in NY was started by quite a few Irish exiles with Mike Quill being the most prolific. Read a tribute to Quill here. Mike Quill adressing workers in NYC in 1935. 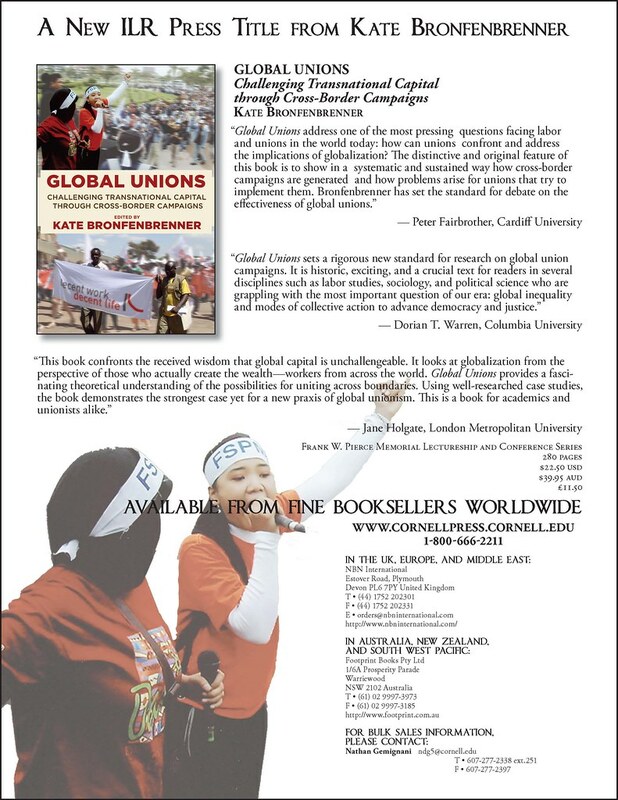 Nathan Newman has an interesting post on book recommendations for a friend interested in becoming more familiar with labor issues. Check out the comments section of Nathan's post where folks are adding their recommendations as well.